Please note: this article contains personal recommendations and therefore is an advertisement, however it is not sponsored. If you’re planning to go to Thailand you might not know immediately where to go exactly – at least I didn’t know it. As it was the first time for me in the tropics I wanted it to be exactly as I always imagined. I wanted to stay at a place where I’ve got turqoise water and lots of coconut palmtrees directly on the beach – as this is my interpretation of the perfect tropic place. 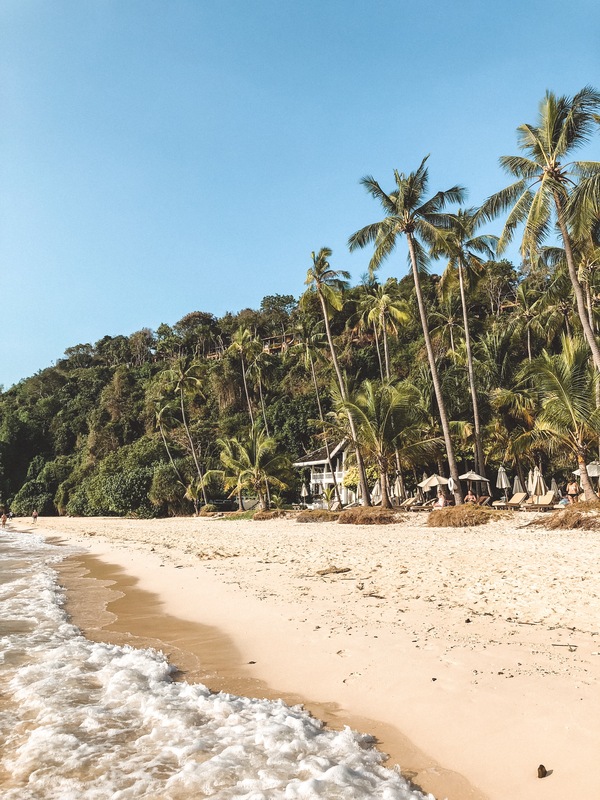 I spent days to find a location and a hotel which combine all the criteria and I really wanted to give up in the end, but then I found it – the most beautiful place to stay in Phuket. First I was searching for a hotel in Koh Samui, the most famous island in Thailand. Of course there are some hotels that look like a tropical paradise, but they simply were too expensive for our budget. I didn’t like all the other hotels and therefore I had to search for another place. 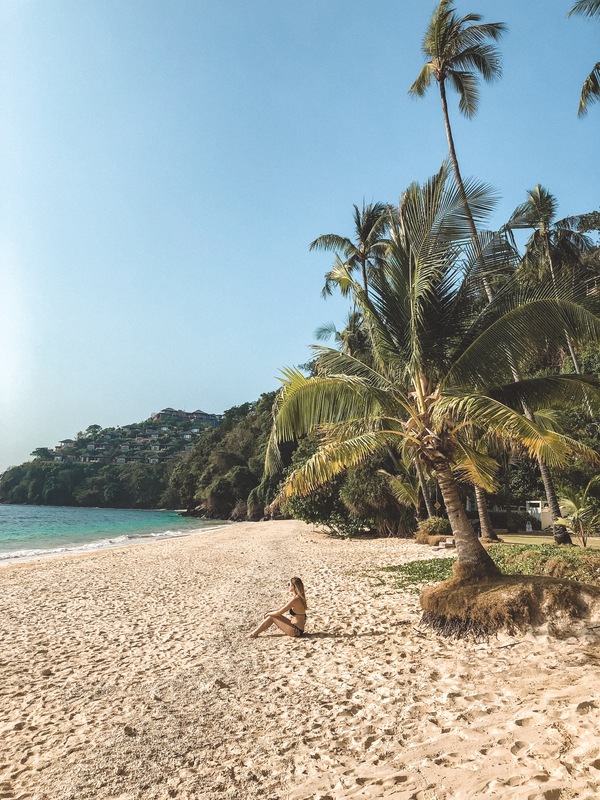 I came across islands like Koh Kood, Koh Panghan and Koh Tao, but as they are quite small they don’t offer a wide range of hotels, besides there is no airport, so the arrival is not that easy. I love to plan my holidays, but to be honest, it sometimes can be really frustrating if you can’t find a hotel which fits your requirements, but also your budget. Thank god I finally found it – the tropical beach of my dreams! In the “Cape Panwa Hotel & Spa” you’ve got it all: A big hotel complex built on a hill where you feel like you’re in paradise. Palmtrees as high as the eye can see and a beautiful and private (!) beach that you can have all for yourself in the morning and evening. Also the prices are reasonable and the food is also very good. Another big advantage when you’re staying in Phuket is that you can easily do a day trip to Koh Phi Phi, which is one of the most famous places in Thailand. There are lots of companies that provide boat tours to Koh Phi Phi, also at different times the day. There will be a blogpost about our Koh Phi Phi Tour soon on the blog. What are you waiting for? Book your trip to Phuket and save 10% on booking.com with this link! Ich freue mich sehr, dass du wieder aktiver auf dem Blog bist. Finde das Design echt schön und Beiträge sehr interessant.